Wii Sports Resort is great and all, but if you've stopped playing it for whatever reason then odds are good you've tossed its accompanying MotionPlus dongle into a drawer, waiting for a good reason to pop it back in. Sure, there's Ubisoft's Red Steel 2 on the horizon, but it's not everyone's cup of Kool-Aid. 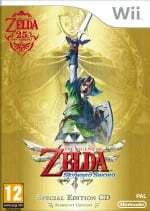 Something that may be, though, is the upcoming Zelda Wii, and according to producer Eiji Aonuma the peripheral will be downright required. After actually making it compatible, it just feels so natural. Link's sword and the controller that you're holding become one. Nintendo CEO Satoru Iwata mentioned in an investors' meeting in Tokyo last week that the company plans on showing Zelda Wii at E3 in June. Aonuma told Famitsu that he hopes to bring "something playable" to the show and maybe, just maybe, even get the game out sometime this year. As it is, Zelda is a must have. This will show 3P developers how to fully utilize the MotionPlus and hopefully more games will have the functionality. I want the boomerang to have Frisbee Dog controls. I'm not happy with this at all! I don't want to buy motion plus just to play Zelda! lol WM+ will only be $10 if you buy it as a bundle. plus it's worth it! Then don't; buy it for one of the best games on the system, Wii Sports Resort. How much do we all want to play this game just to see if it lives up to the hype and also to see if the Zelda team can actually do M+ properly. If they don't make sure these controls work flawlessly and make sense based on the actions and moves I will be making then I won't be buying this game. Ooo, this is great! I'm more excited to see them actually use MotionPlus in real-time rather than a trailer. Heck yeah! Looking forward to this one! @3: I completly agree. Hopefully this cool addition won't make the boss fights hard to do. No, I don't see this as news that Zelda will be 1st person. Truthfully, I hope it isn't, we have Metroid for that. But they are going to have to nail the camera controls just right if it isn't. I got WM+ and resort. Trust me, we WANT WM+ for Zelda. And you SHOULD buy WM+ and resort right away. You don't know how precise the control is until you've tried it. Why wouldn't the controls work? They worked without motion plus, motion plus = a more accurate wiimote. It's not going to be first person, no way. I also doubt they will abandon the ability to lock-on, it's just too convenient. Okay, now just officially confirm the lefty mode and I'm sold. No WAY I'm going to be able to play Motion+ level sword fighting with my right arm. This is great news, there needs to be a lot more MotionPlus games, it is so much better than Wiimote by itself. Very exciting news, especially the E3 tease. I would downright love it if we got Zelda in time for Christmas, but it's done when it's done, right? 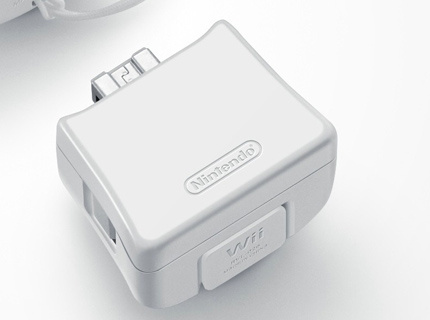 Most of us SHOULD have this device with the outstanding wii sports resort. Zelda WiiMotionPlus - can't fracking wait. I reckon the game is all ready done, Nintendo are just making sure it's good! They'll probably have a Zelda Wii + Motion Plus bundle. I hope they make boss fights CRIMINALLY complicated--Zelda bosses have always been walks in the park. With a deeper strike-based combat system (not just lock+block+strafe+wait) bosses could be a lot of fun, especially coupled with the Zelda ingenious stage/item use during battle and accompanying epic-ness. It's worth noting that I stopped playing Sports Resort due to mounting frustration given how often the WMP fell out of sync and required re-cal during all my favorite games. I'll unfortunately need to wait for a review for this purchase (first time ever for a Zelda) to make sure this issue isn't as present in this game. Given the chaotic/fast moving nature of sword-striking....I'm pessimistic. nintendo should release all these titles this year... metroid, zelda, smg2, sin and punishment2, and also surprise with kirby, pikmin, maybe starfox, AND all the RPG's... the reason they're not doing that is sales. Sure they'e also perfecting the games but they're also trying to make enough gaps to make sure the games sell 5 million or even 10 million copies like NSMBWII. Now I can understand that. But Wii already has the sales. To shut up ps/360 fanboys, Nintendo needs to have more AAA, more 90(+) reviews on metacritic... more games in "green". Having 20 top notch games in 2010 is what the wii needs... iit started well with 3rd party games Tatsanuko and NMH2, and it should continue. It won't be first person. I give it a 1% chance of being first person. If it WAS going to be first person, Nintendo would be letting out a bunch more trial balloons about it to gauge reaction. Don't worry about it. @lz2010: Yeah, but Twilight Princess on Wii does not, even though it would have been ludicrously easy to include. I've taken fencing lessons before, and frankly I doubt I would have the energy and nerve to do it through an entire Zelda game. Still, I'm not worried after Nintendo made TWO Zelda games that made inventive use of touch control. So far I think Nintendo's shown the best examples of how the unique features of the Wii and DS can refine classic gameplay rather than replacing it. "Sure, there's Ubisoft's Red Steel 2 on the horizon, but it's not everyone's cup of Kool-Aid." This sentence just reminded me how thirsty I am. Kool-aid sounds really good right now. Oh yeah, and Zelda with the WM+ sounds awesome, no matter which way you slice it. Good news. I enjoyed playing Zelda Twilight Princess on the Wii (I even enjoyed the fishing quite well, which was rather stale in the previous games). The motion sensing was a neat addition to the series, and I hope WM+ will take it to the next level. As we haven't actually SEEN anything to do with this game yet, I'm expect that we'll probably get it in time for NEXT Christmas (2011). That is assuming it's being built from the ground up, and to compete with the likes of ALTTP, OOT & TP. And besides, if it came out this year, it would 'clash' with the already imminent Super Mario Galaxy 2 and Metroid: Other M (to their minds at least). Hopefully they will bring in an element of skill with Motion+. Remember how you had the 2 handed goron sword, but couldn't use a shield? What if now you could parry? Lets face it, if they pull this off, you will require timing and skill to strike, and have the ability to block (shield), dodge and parry (sword block). This will add 2 significantly new elements to the combat system which, if done correctly, should revolutionise this aspect of the zelda games. Heard this a Looooooooong time ago that either they were going to require or might. Isn't that right? Yes, longtimegamer...this is merely an official confirmation of past expectations, cementing it as fact. @dimlylitmonkey: It's perfectly possible that they're just doing a REALLY good job of keeping all their hard work secret from us gamers. Nintendo is unquestionably the best of the big gaming three at doing that, after all. Noice! I just hope they don't rush this to get it out for the Holidays. They have plenty of great games this year. Take your time and make this game perfect! I can wait. I wonder how recalibration will work in a game like Zelda? If Zelda will be at E3 this year, especially if playable it will likely come out this year. If not, then I'm guessing March 2011. @lz2010: Yeah, and in case you hadn't noticed, Link is a lefty in the Gamecube version, just like he is in EVERY other Zelda except for TP on Wii. Various developers proved that it's no problem to include mirrored worlds as pointless bonus content on the PS2, so why should it have been any harder to have the proper lefty mode in TP Wii? They just didn't bother. @stuffgamer1, honestly from a developers point of view, it isn't that hard. Heck most of it is copy-paste-reverse. But it does take time to do, which means the investors and publishers will pressure the developers. This makes the developers cut features that they think will be unpopular, and let's face it, the poor lefty's are a small group. Not exactly breaking news, but it's good to hear they haven't been swayed into allowing standard Wiimotes. Didn't the information leak that Link won't have his Mastersword in this game? Maybe the WM+ will bring additional functionality to the other sword. @50: firstly, nyko wand sux secondly, it's unfair to whoever already purchased wm+ (i have more than one) and finally, the wii motion plus works for nintendo because it adds further prestige to certain games - if it's just part of what the wiimote does anyway then it's not that interesting.